We’ve seen some pretty wacky wedding crazes over the years, from underwater ceremonies to robots officiating vows, but this new ring trend is definitely up there. Hailing itself as ‘the most sophisticated ring in the world’, The Touch is a ring which shows your partner’s real-time heartbeat no matter where they are on the planet. It works like this: Once you tap it, the ring transmits signals via Bluetooth to its partner. 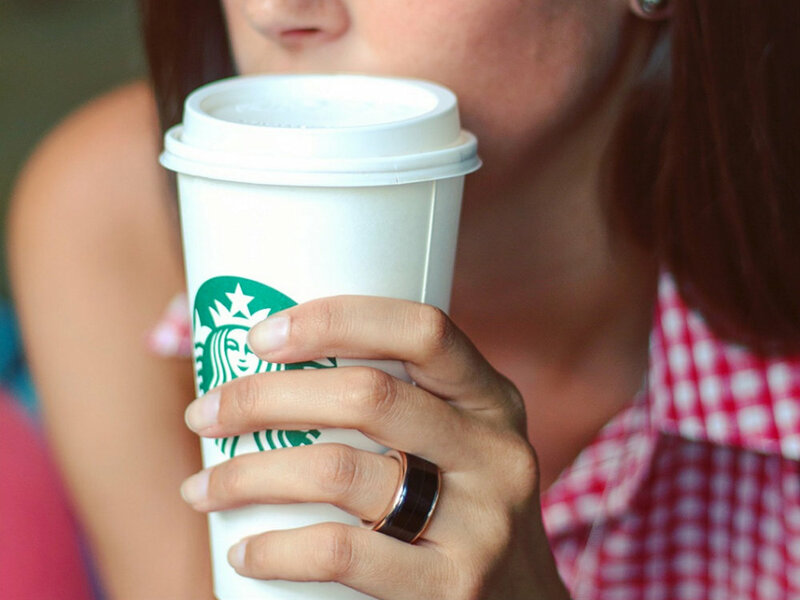 Sensors on your other half’s ring will then read their heartbeat and transmit it back to you so that you can feel it in real-time through your own ring. You can also watch it light up to the beat too (so jazzy). Now, we all like a bit of wearable technology, but this one really divided the office, with half of the people thinking it was the sweetest thing and the other half thinking it was, well, just a bit creepy. Nope, we’re not cringed out AT ALL.